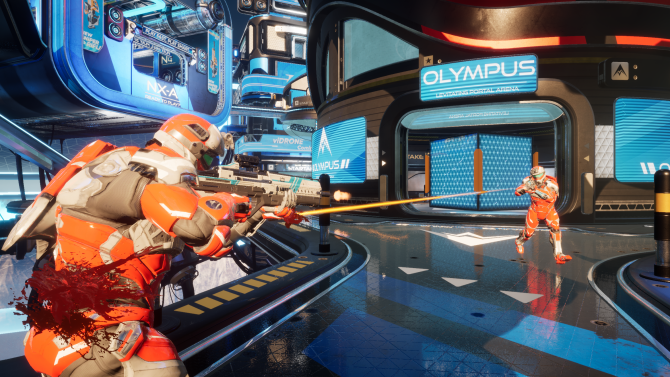 There is no denying that Halo and Portal are some of the most beloved franchises in the gaming industry — haven’t you always wondered what would happen if someone was to merge both these games and turn it into a competitive multiplayer shooter? Well, developer 1047 Games has transformed that “what if” into a reality in the form of Wormhole Wars. 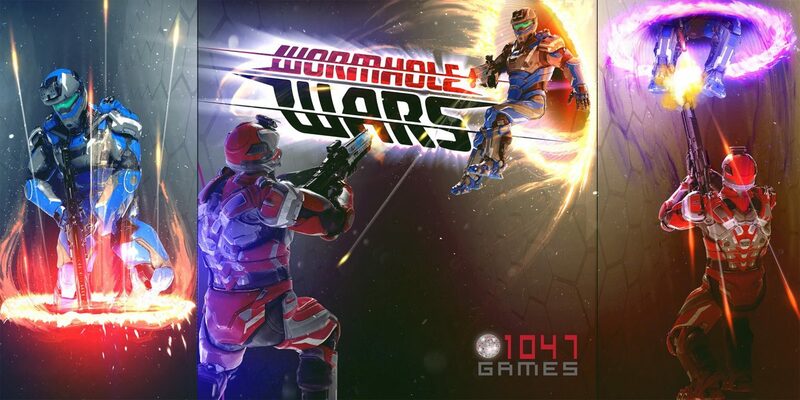 During PAX East 2018, we had the chance to check out a preview of Wormhole Wars on the show floor (however, the game is currently available on PC via Steam). However, the game is still in an Alpha stage with those looking to partake on future playtests will have to join the official Wormhole Wars Discord server. For those who are unaware of the title, Wormhole Wars is a first-person shooter and mashes up everything great about some of the most beloved titles in the first-person shooter genre. More specifically, the game takes everything good about Halo 2, Halo 3, both Portal titles, as well as some components found in the Quake series (minus Quake Champions). 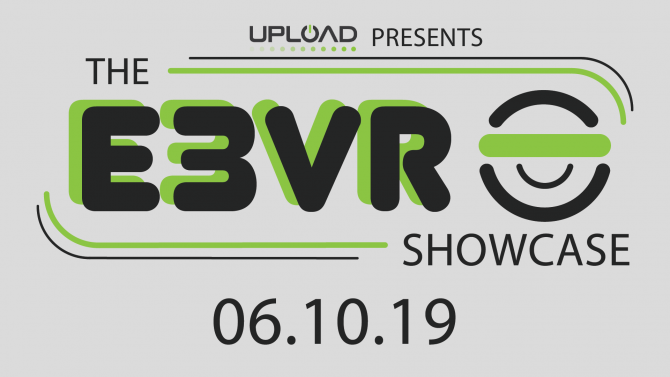 Built using Unreal Engine 4, is a competitive multiplayer shooter that supports up to ten players per match. Gameplay-wise the game feels very much like a Halo 2, and Halo 3 and the controls on a mouse and keyboard are the same as any other FPS game. However, the notable feature found in Wormhole Wars is the game’s implementation of portals within a team deathmatch mode. Each player can use portals from the start of the match, and you can create portals using the Q and E keys on your keyboard. The portals can be your best friend in matches as you can use these to outwit the enemies. For instance, you can use a portal to flank your enemy from behind or open a portal to end up in the air to new areas on the map. Of course, the portals can also be used as a quick flee when you are low on health. This makes for some exciting gameplay. 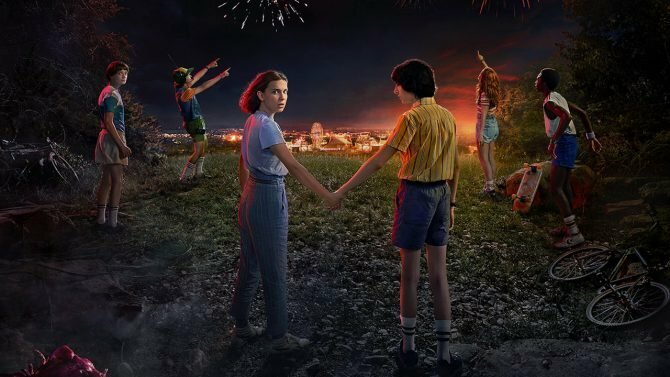 The first-person genre is extremely oversaturated nowadays, with many titles having little to no variation to make them distinct and failing to offer anything new to the reinvent the genre. Though, what makes Wormhole Wars standout from the rest in this overcrowded genre is how they utilize the portals. At first, I will be honest, the concept sounded strange, and I felt that the two ideas were never meant to intertwine. Fortunately, I was wrong, the fast-paced gameplay combined with portals adds a new breath of fresh air into first-person shooters. Wormhole Wars is an easy game to pick up and play, however, for one to master the game requires time and practice as the game continues to undergo its development. Obviously, new elements will be added to enhance the overall title. That being said, those who are looking to master the game will need to continue to evolve their strategies and practice proper portal placement to stay one step ahead of their opponents. As I have stated earlier, this game borrows heavily from Halo 2 and Halo 3, and in a lot of ways, it feels like a love letter to both of the multiplayer modes for both games. So those who love either Halo 2, Halo 3, or both titles and are not big fans of the direction of the series will undoubtedly feel right at home. Although I think that the game pays a bit too much of a loving tribute to both the games above, Wormhole Wars will establish itself over time to become a game worthy of redefining the first-person shooter genre. Of course, there are a few flaws with the game that I did experience; for one thing, there is no opportunity to dual-wield weapons, I would not consider it a significant fault, but it would be nice to have that offered in the game while the lack of a weapons loadout is strongly desired. Now, the most prominent issue I experienced with the game, was the matchmaking. Aside from my time at PAX East, I did have a chance to playtest the game once more before writing this preview, and the matchmaking was extremely unbalanced. One minute I am playing team deathmatch against a team below subpar, the next I am enduring a match where both sides are equally balanced, while another time I could be on a team where we get annihilated by our opponents. So, I feel that matchmaking needs to see some vast improvements. After all the time I have spent with Wormhole Wars, it is crystal clear that the game has “Halo, but with Portals.” While that is undoubtedly true, if you look at it as merely a hybrid clone of the two, it’s rather closed-minded. 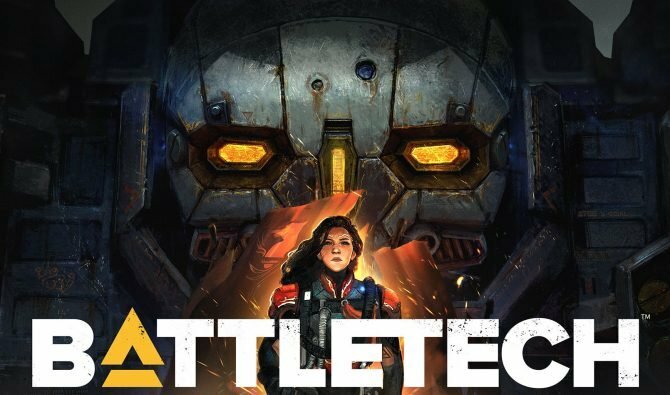 Sure, the game borrows heavily from specific titles, and it lacks its own identity as of now, the game is still in an Alpha stage with enormous potential to grow. Over time, I feel confident that 1047 Games will establish Wormhole Wars into a solid brand. 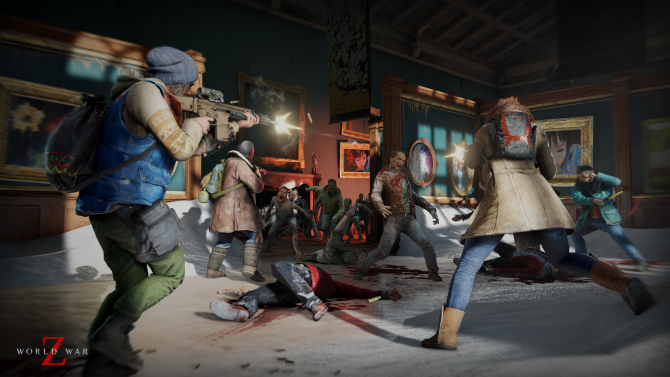 Even in its Alpha stages, it has pushed the envelope with what gamers expect from the genre. As stated earlier, Wormhole Wars is currently an Alpha build, with no release date yet to be announced.